Dressed in a rugged tumbled leather, a digital style font is used on the lace guard and heel, giving off a “black market” vibe and possibly referencing cryptocurrency, a fitting inspiration for a sneaker that is all about the money. 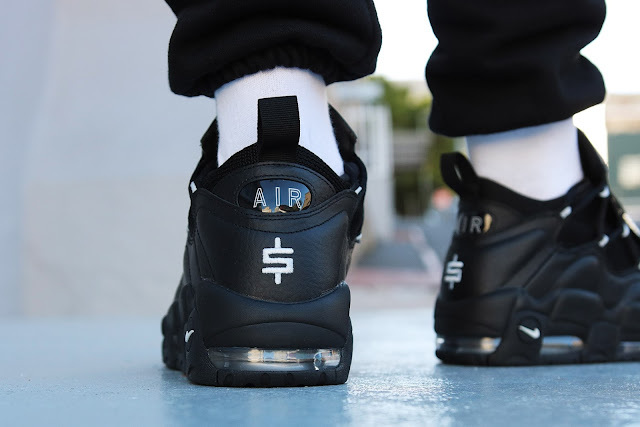 Down below, a clear Air Max unit and white detailing on the outsole round the shoe’s aesthetic off. 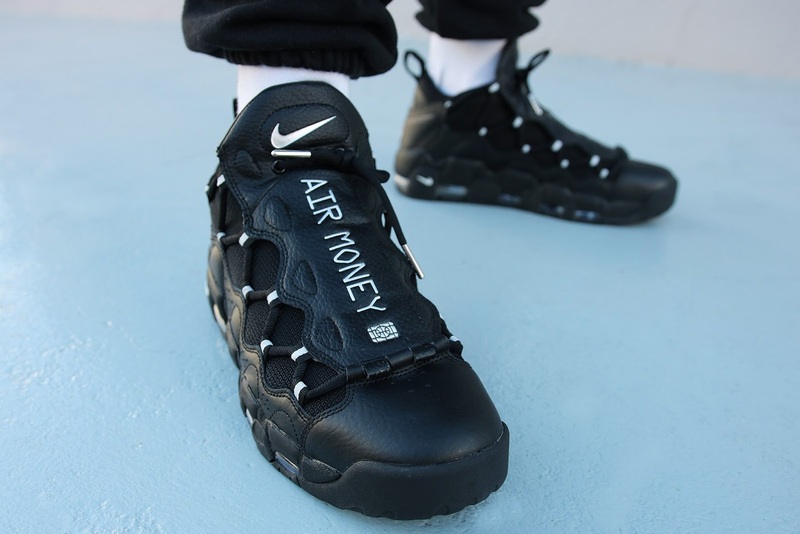 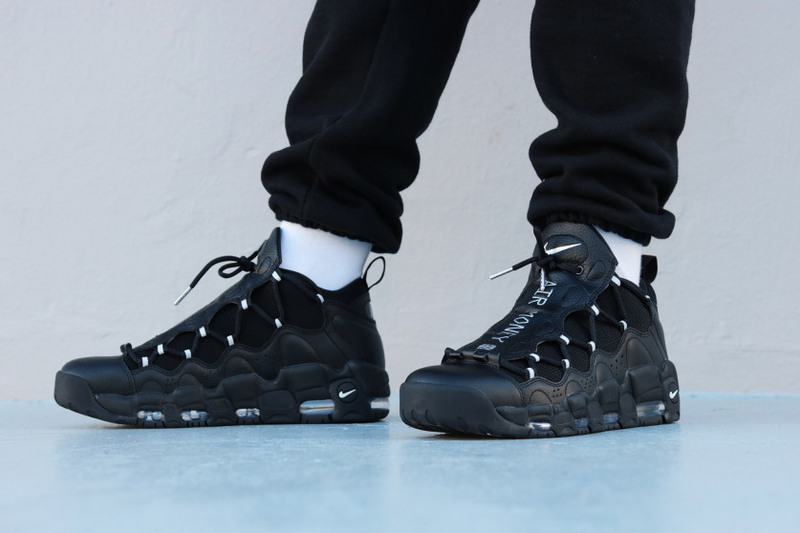 The Nike Air More Money (Black & Metallic Silver) is available at selected retailers.